For Purdue University’s Weldon School of Biomedical Engineering, it is a time of dynamic growth — expansion on all fronts, including an unprecedented spate of faculty hiring. 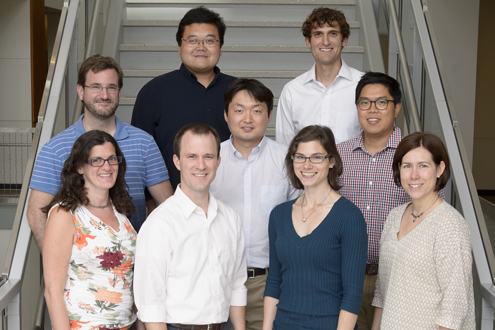 Over the past three years, the school has hired 13 new faculty members, with a half-dozen more promoted to full professor. Purdue University will lead a $5.4 million interdisciplinary research project funded by the Defense Advanced Research Projects Agency to develop a wireless implantable device for treating conditions resulting from the body's inflammatory response. 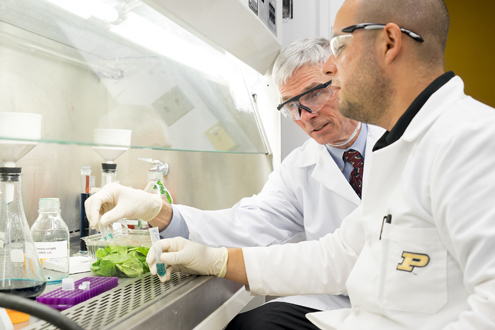 The U.S. Food and Drug Administration has announced that technology discovered at Purdue University that could help government agencies and the food industry detect salmonella more quickly has won the grand prize in the 2014 FDA Food Safety Challenge. Ushering in a new era of leadership in the Weldon School of Biomedical Engineering, the Purdue Board of Trustees approved the promotion to full professor of six faculty members. This cadre of scholars represents more than half of the promotions to full professor this year in the Purdue College of Engineering. Purdue Professor of Biomedical Engineering Ji-Xin Cheng recently received a $2.2 million grant from the National Institutes of Health to radically improve the way heart patients are diagnosed. 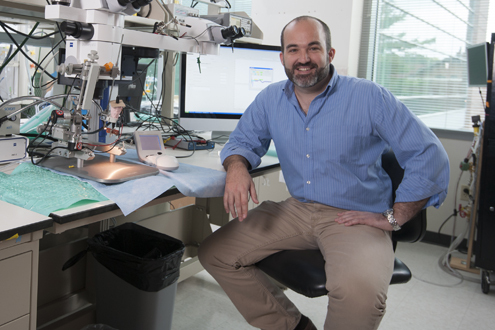 The new device, developed in Cheng's lab in collaboration with researchers across the country, will enable physicians, for the first time, to see inside their patients' arteries and treat fatty deposits before they rupture. Imagine that your body had a digital double — a computerized twin — identical down to the genetic level. Doctors could administer prospective drugs to that digital self to test which ones are safest and most effective for your physical body. Simplified, that’s the grand idea behind the ambitious Digital Human for Drug Development (DHD2) project, a collaborative global effort underway at Purdue University’s Weldon School of Biomedical Engineering, in league with the Korea Institute of Science and Technology (KIST). Purdue alumna Madeline Torres-Lugo (MS '99, PhD '01) and alumnus Eduardo Juan (PhD '01) are spearheading the development of the burgeoning field of biomedical engineering in Puerto Rico. And in a move modeled by the Weldon School, the University of Puerto Rico-Mayagüez (UPRM) has launched a graduate program in bioengineering. The medical device and biotechnology industries have stimulated a growing demand for engineers with the advanced technical and professional skills indicated by a professional master's degree. To meet this demand, the Purdue Weldon School of Biomedical Engineering launched two new master's degree programs in the fall of 2015: Biomedical Device Development (MS BME) and Biomedical Device Development with Industry Immersion (MS BME). Undergraduate students interested in having a global learning experience without interrupting their plan of study or delaying their time to graduation can now choose among two opportunities in China in addition to programs in Ireland, Denmark, and Switzerland. The China programs include a for-credit one-semester study abroad program in Shanghai and a summer research dual exchange program in Beijing. Three graduate students at the Weldon School of Biomedical Engineering at Purdue were named recipients of the prestigious National Science Foundation Graduate Research Fellowships, and two received honorable mentions. In addition, two graduate students from the school were awarded Chappelle Fellowships. The Weldon School of Biomedical Engineering raised $204,811 during Purdue's Day of Giving campaign. The school received a wide base of support from our industry partners; alumni and friends; and current students, staff, and faculty and ranked among the top 15 units participating in the Day of Giving donation leaderboard. Join us as we advance both higher education and the medical device and biotechnology fields. If you are interested in learning more about the Weldon School of Biomedical Engineering, please contact Brian Knoy at bjknoy@prf.org. We would like to learn about you, answer your questions, and schedule a visit.